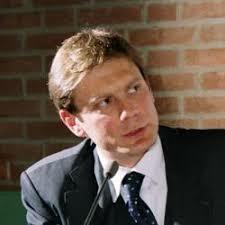 Massimo Marchesi has a BA at Modena University (Italy), a Master of Arts in Economics at Université Catholique de Louvain in Louvain-La-Neuve (Belgium) and a Doctorate in Financial Markets and Intermediaries at Università Cattolica del Sacro Cuore – Milan (Italy). He is an officer in the European Commission since 2000. He is presently working in the National financial systems Unit of the Directorate General for Financial Stability, Financial Services and Capital Markets Union. Before that he served the European Commission mostly in other financial services related departments, dealing with a broad range of issues, from insurance and pension funds to financial stability and resolution. Apart from the European Commission, he has also worked some years in the private sector, mostly for financial services consultancy firms. Alongside his work, he is active in economic policy research.